Give the Gift of Winter Fun! 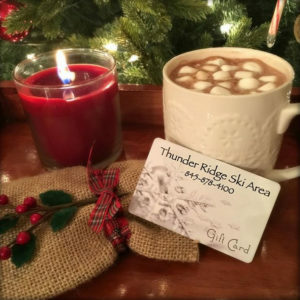 Now you can give that perfect holiday gift with the Thunder Ridge Gift Card. Choose any dollar amount. The card can be used for any Thunder Ridge purchases including food in the cafeteria or items in the gift shop.